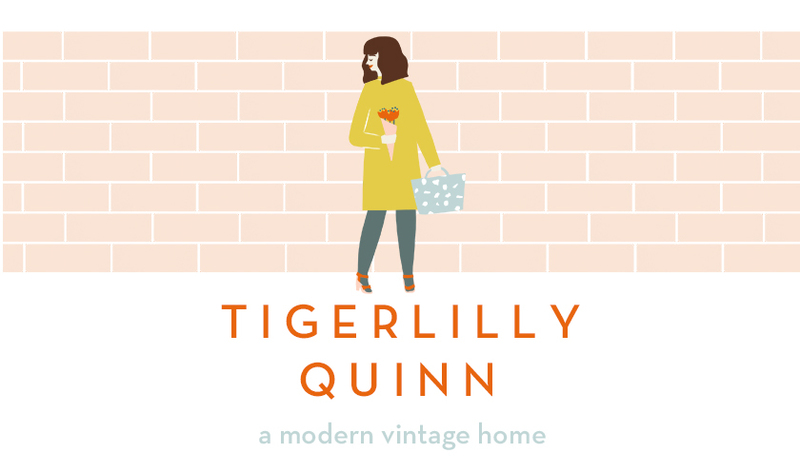 Tigerlilly Quinn: A practise run for Mothers Day and the prettiest homeware! 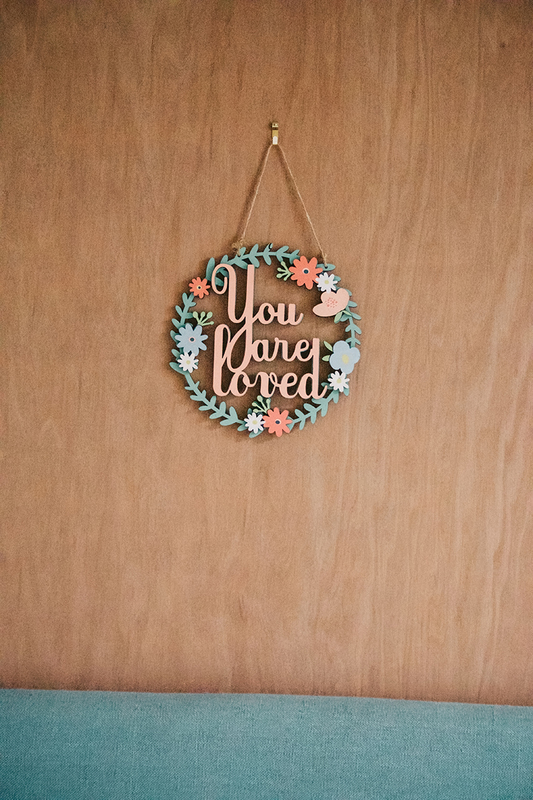 A practise run for Mothers Day and the prettiest homeware! We're fast approaching one the best days of the year, well for mums anyway haha! 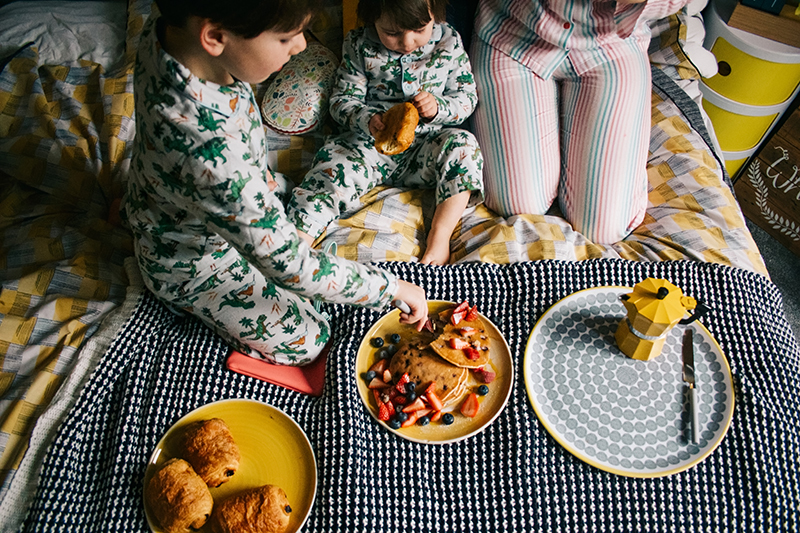 I love Mother's Day, I loved the excitement as a child of handing my own mum a fresh bouquet and our dad helping us bring her a pot of tea and her favourite breakfast in bed. 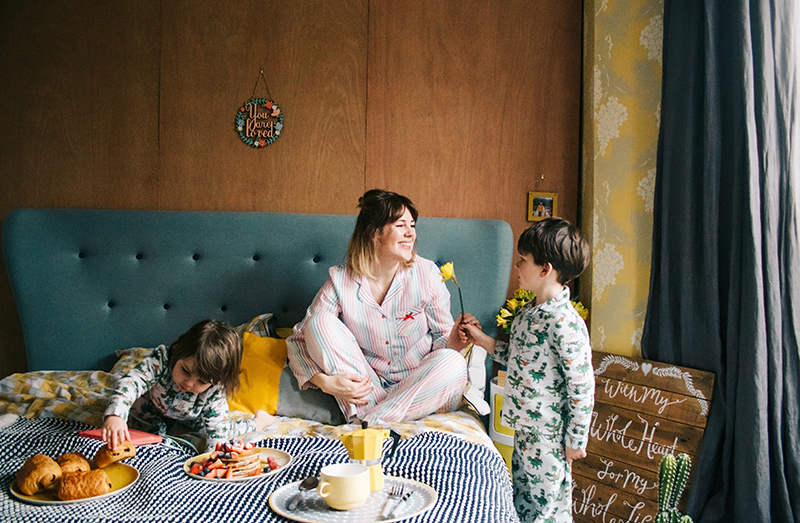 I'm working with Sainsbury's Home in this post to showcase not only their lovely Mother's Day gift selection but also their amazing homeware range. 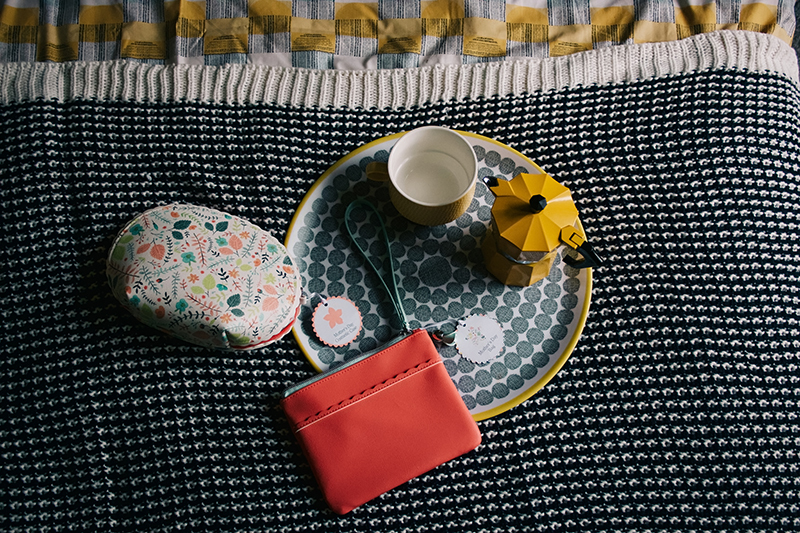 All the items in this post from the bedspread to the coffee pot are from their Helsinki range. On that note can we take a moment to appreciate our PJ's? Also the fact that both kids got matching dinosaur flannel ones?! 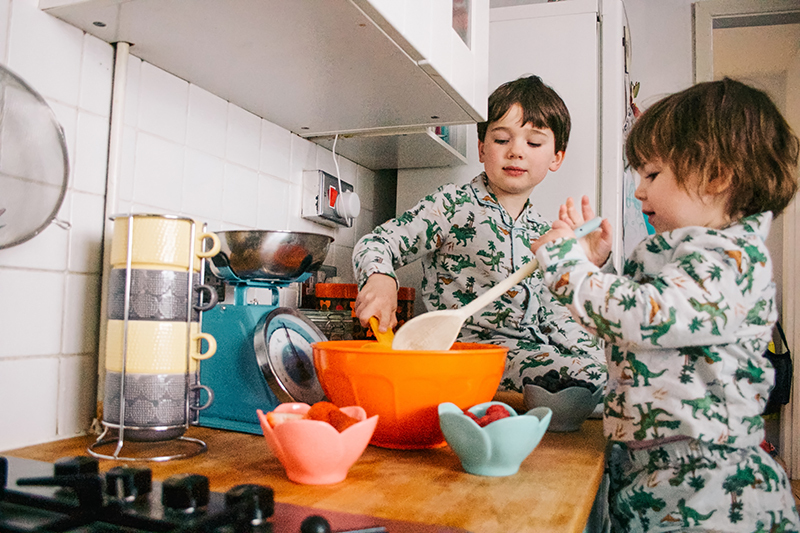 Tom actually helped the kids create this lovely breakfast for me and I'm sharing some photos of that and some tips I have for cooking with kids (spoiler, just go with the mess!) so it you want to take a look at that then head over here. This was one of the gifts the kids picked out from the range, I just love this laser print design and the message too. The kids also picked out this beautiful floral wash bag and coral purse. I love the colour blocking and also the gorgeous botanical style illustration. Both the tray, coffee pot, mug, bedspread and throw are from the range too as well as the calendar I have on my side table. Although the kids keep changing the date on it haha! 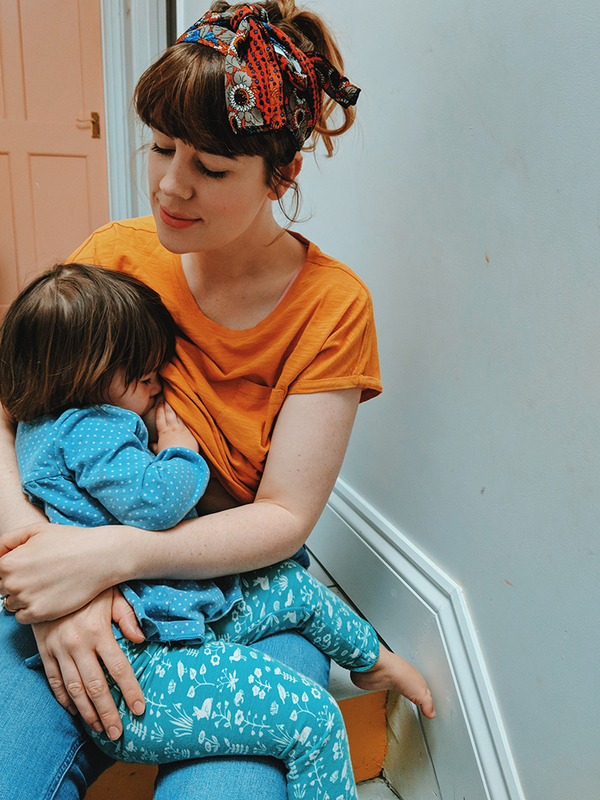 Motherhood isn't always the easiest ride, I not going to lie there are times of the day that I'm counting down to bedtime or a glass of wine (or tub of ice-cream) that I can enjoy alone without being asked questions or playing Lego or Duplo but those moments are tiny in comparison with the absolute joy being with them gives me. I know that right now in these moments I am living out my best days and I'm so thankful to them for making me a mum! 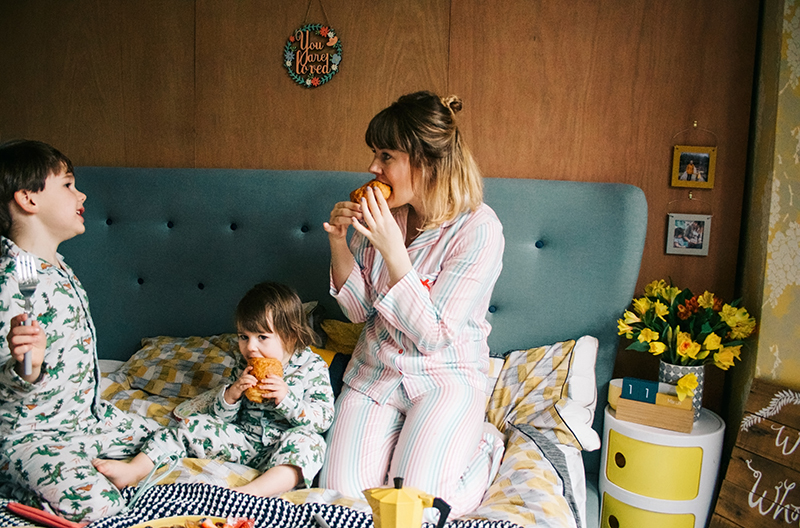 Thanks to Sainsbury's Home for working with us on this post and don't forget to check out their brilliant Mother's Day and Homeware section. Those pj's are so cute, I would love to get my kids matching ones but I think they're too old to want to be dressed the same. That's so cute! 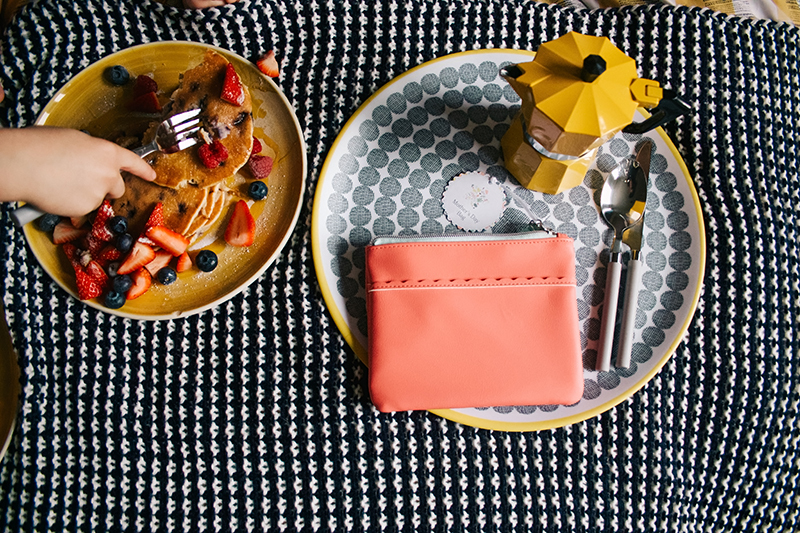 Wouldn't it be nice to have breakfast sorted out for you ALL the time? The Pyjamas are so cute and I now have my eye on that Coral purse. 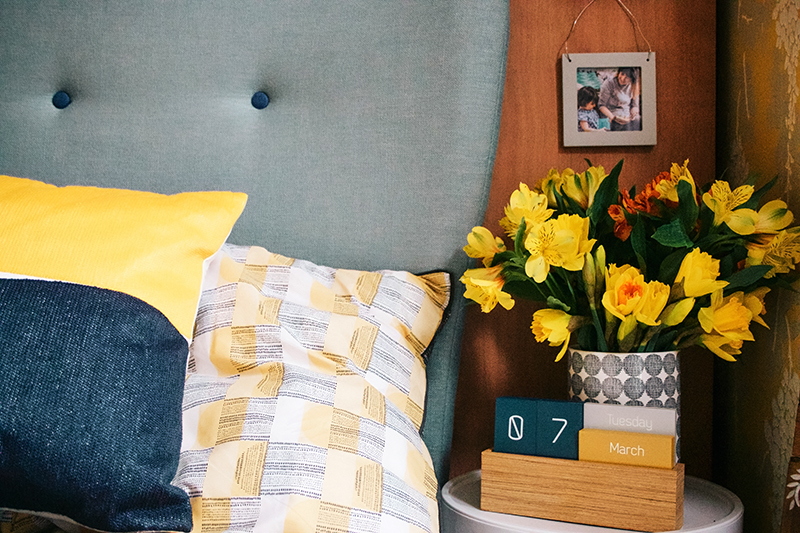 I love the bedspread and how you’ve coordinated it with the yellow side table and I think I spot some daffodils too! Oh WOW these are jsut the colours that I want.. that coffee pot is life changing!!! 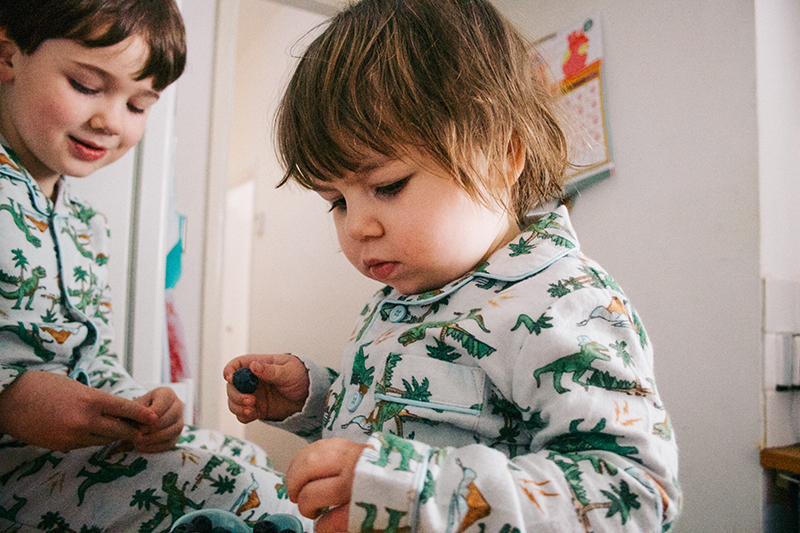 I adore the pyjamas the children are wearing, so so cute. 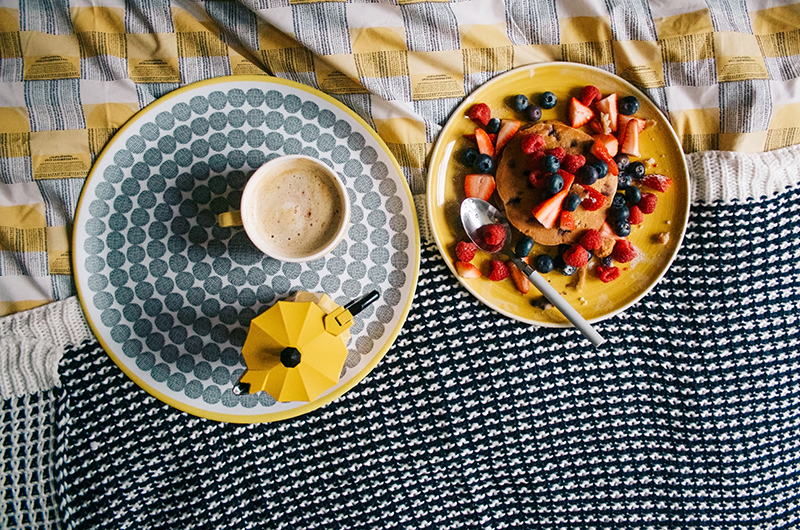 This looks like the perfect kind of breakfast, particularly with pancakes and coffee. 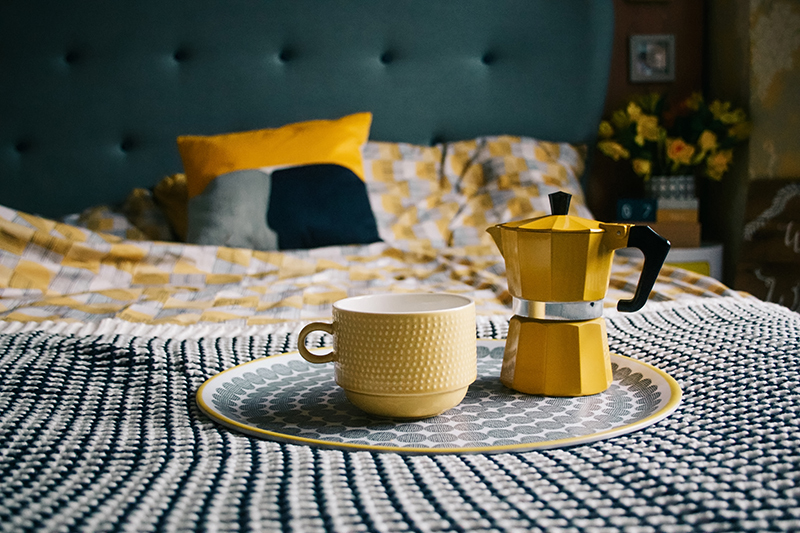 Loving the yellow coffee pot, and considering I've been looking for one and being far too fussy about styles and colours, I am delighted to see one I actually want. Lovely photos and at least you got something to eat. 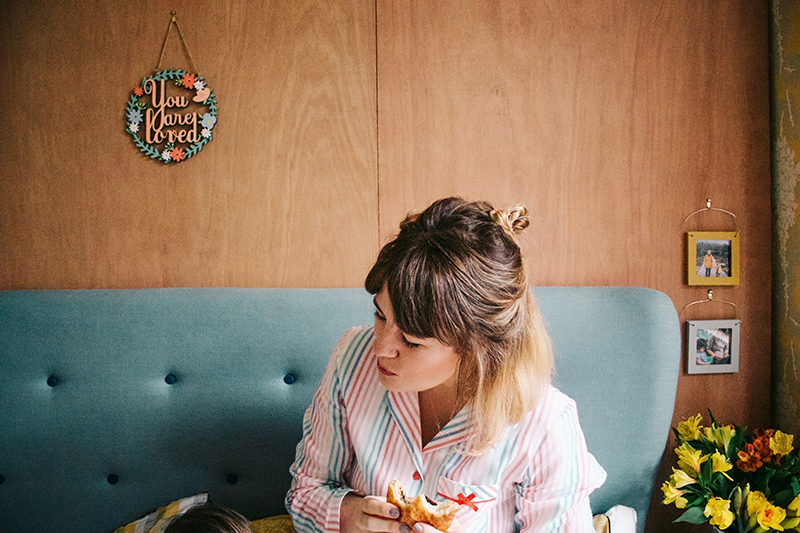 Last year the kids 'made' me a hot cross bun for breakfast in bed and ate most of it themselves. Love your PJs too. 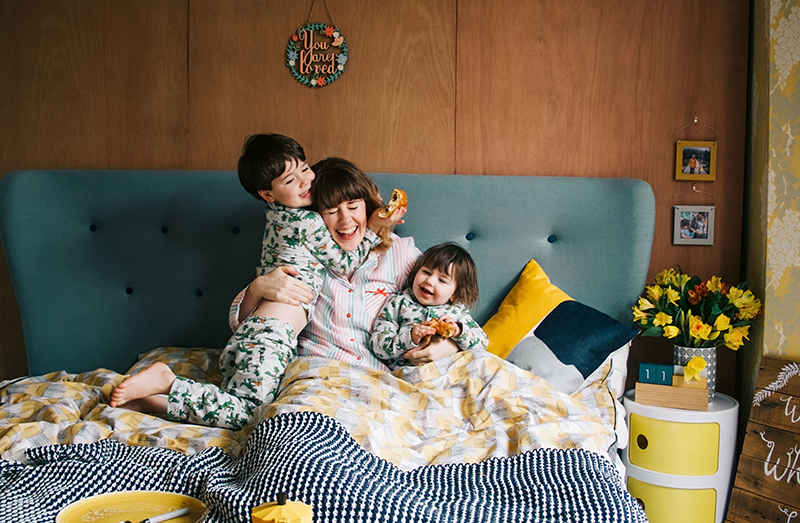 I absolutely love this with these matching pjs - how adorable! I love Sainsburys. 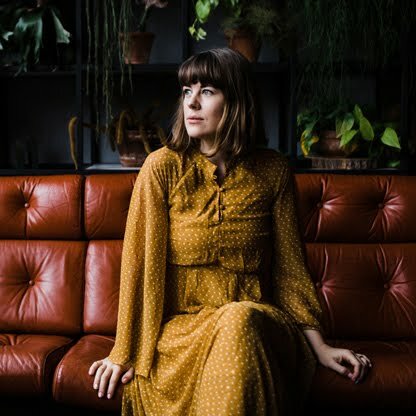 I was thrilled when I saw you have written about them. They have a lovely range of homewares.